Internet has become an hotbed of innovation. Crowdfunding is one such internet-inspired innovation which could revolutionize how we do business in the near future. It could really be the next big thing. Kickstarter.com is one such hugely popular crowdfunding venture that is creating ripples across the world. Plenty of alternatives keeps rising all across the web and some of them are tailor-made to back open source projects specifically. Here's a list of 5 good Kickstarter-style crowdfunding alternatives for open source software (in no particular order). 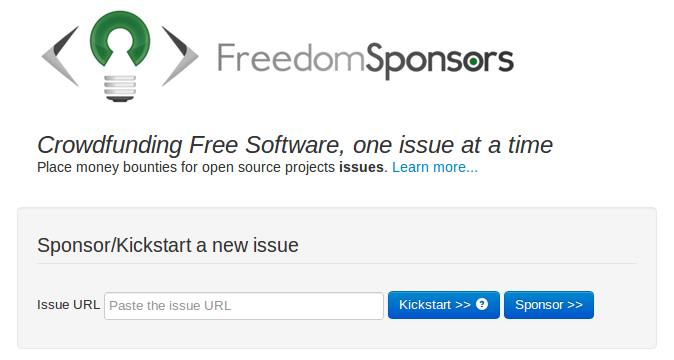 FreedomSponsors: It is a platform for supporting free/libre software projects through micro crowdfunding - that is, crowdfunding individual open source project’s issues. Anyone can go and place a bounty on a specific issue. If more people also need it resolved, they can "chip in" and the bounties will add up. Developers then can resolve the issues and claim their prizes - the sponsors are notified and pay the developers once the solution is verified. BountySource: Originally created in 2004 with the hope of improving development activity in open source software communities, BountySource has evolved into a crowdfunding platform for open source software. In a nutsell, BountySource incentivizes developers to solve open issues by offering monetary rewards. Anyone can come to BountySource and browse through open-source projects that are on GitHub and can post a monetary bounty on the issue they want to see resolved. Simple as that. BountyOSS: Another kickstarter like alternative for crowdfunding open source software. And unlike other sites, it is designed to attract contributions from businesses as well as individuals. COfundOS: Idea remains the same here too - supporting open source software ideas through crowdfunding. All ideas and contributions on Cofundos.com are licensed under a Creative Commons Attribution 2.0 License. All project outcomes must be licensed under an OSI approved open-source license. 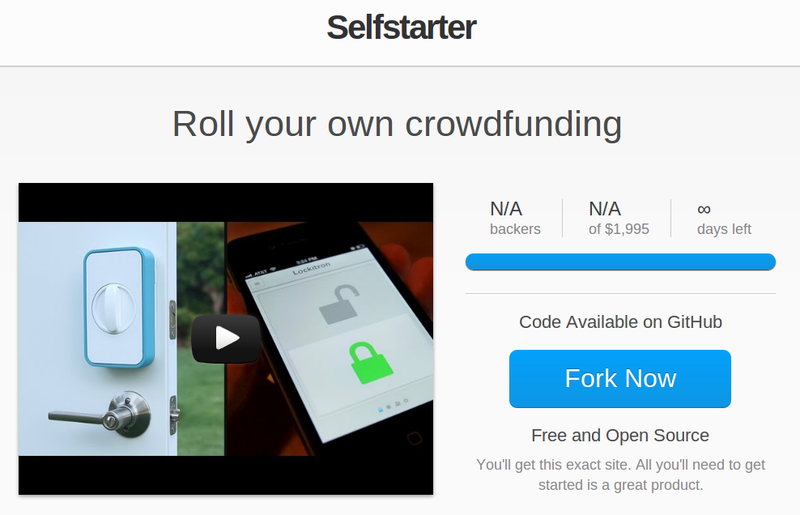 Selfstarter: NOT exactly a crowdfunding alternative for open source software per se like the others featured above. Selfstarter is an open source starting point for building your own ad-hoc crowdfunding site. It was put together by Lockitron after they were turned down from Kickstarter. A very inspiring story for ya'll budding innovators. Read their story here. Thanks to our reader Ilmari Lauhakangas for chipping in with suggestions.